The Bundestag elections were "undoubtedly" influenced by the US, an ex-head of a German trade union, Friedhelm Klinkhammer, said, commenting on a recent Ifop poll according to which many Europeans believe the US interferes in political processes in other countries. However, German researcher Dr. Martin Thunert adheres to a different point of view. Many mainstream German journalists are members of the pro-American "Atlantic Bridge" foundation, which is why they often cover certain events in a biased manner, the former division head of one of the largest German trade unions, ver.di, at the NDR broadcast company, told Sputnik Germany. "Before their appointment, all of these journalists visited the United States, where they clearly perfected their pro-American position," Klinkhammer said. He stressed that during the parliamentary election campaign in Germany, Merkel's domestic policy was barely covered and without any criticism, while her foreign policy was presented in an exaggeratedly positive manner, with the chancellor being portrayed as an outstanding German politician and the actual head of the EU. "This line of 'silence' in domestic politics and exaltation of her foreign policy that was consistently followed by the media guaranteed that Merkel didn't attract negative attention, even though she alone was responsible for the consequences of Germany's migration strategy. Thus journalists diverted attention from Merkel and focused on the Alternative for Germany (AfD) instead," Klinkhammer noted. 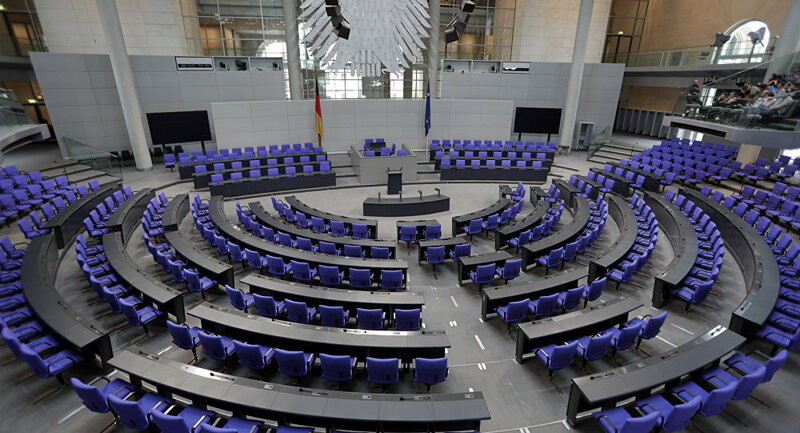 At the same time, Dr. Martin Thunert, an expert on the US and research fellow at the Heidelberg Center for American Studies, does not believe that the influence of the "Atlantic Bridge" foundation determined the results of the elections to the German Bundestag. Thunert himself attended the meetings of the organization, and he is confident that journalists are not blind executors of other people's orders. "I think that if the US would have really applied some kind of manipulations in this area, Merkel's results would be better," the expert said. Moreover, Thunert believes that the situation in which different factions, united by common interests, support some candidates and campaign against others is a normal process in a pluralistic society. Influence should not be equated to manipulation, he noted. "I do not fully understand this, because I think that influencing or expressing a preference for a certain person is not the same as manipulating. Before the Brexit referendum, Obama quite clearly said that Britain should refrain from supporting the withdrawal from the EU. Influence? Yes. But manipulation is something else, something illegal, for example, when individuals try to 'hack' vending machines or bribe voters," the expert concluded. The latest public poll conducted by the leading French pollster Ifop shows that one-third of UK residents think that the US exerts influence on elections in other countries. The percentage is even higher in Germany and France (over 40 percent). At the same time, only 21 percent of UK residents and less than 30 percent of continental Europeans, however, believe that Russia influences the elections of other countries.